Hiya guys! How's it going today? I am really exhausted for a lot of reasons including some stressful doctor visits. I'm an open book and like to keep you informed on my health so I'll be posting in length about everything on Instagram this week. For now though, let's get our minds off our troubles and enjoy some polishes. And boy oh' boy do I have some wallet dropping beauties to share! 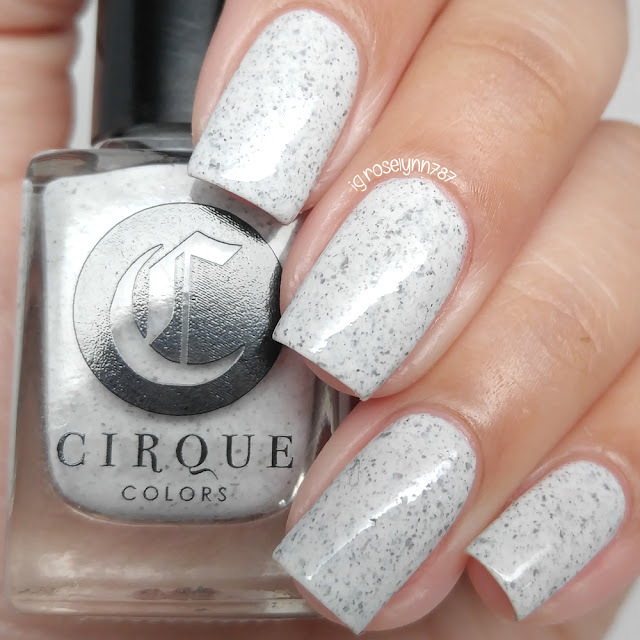 Today I am showing you guys the first half of the new release from Cirque Colors Speckled & Sparkled Collection. The swatches today will be of the 'speckled' half of the collection and consists of four polishes. 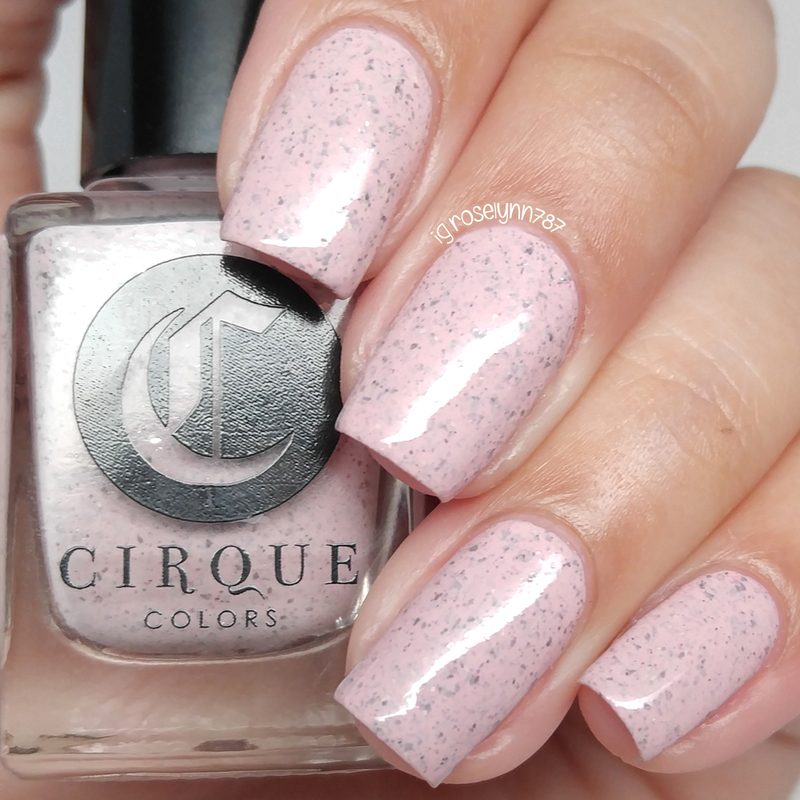 The entire Speckled & Sparkled Collection by Cirque Colors is limited edition and will be releasing on Friday, March 25th. Each full-size bottle (13.2 mL) retails for $13.00. 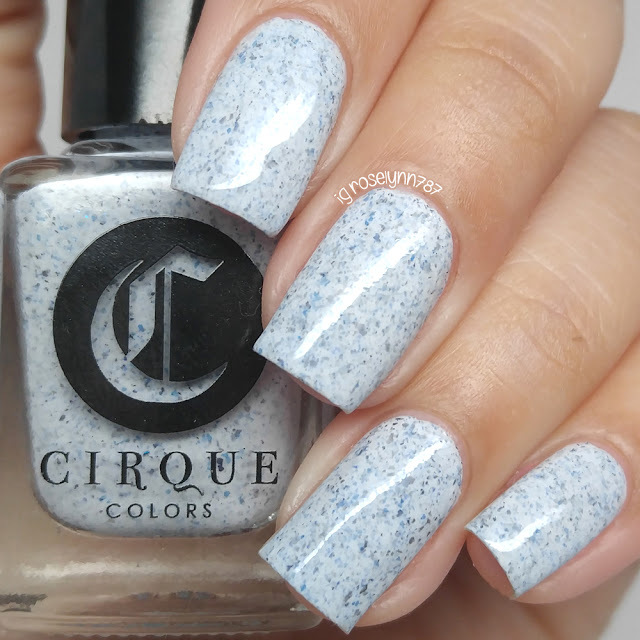 Acid Wash can be described as a pale blue cream with denim speckles. Starting off with my favorite, the nail art possibilities going around in my head right now guys is insane. Out of the four I felt like this one had the most flakes per coat. Smooth, opaque formula. I felt like I barely needed the second coat to add some more coverage. It dries to a gritty finish so a topcoat is needed to smooth down the speckles. Shown in two coats and a glossy topcoat. 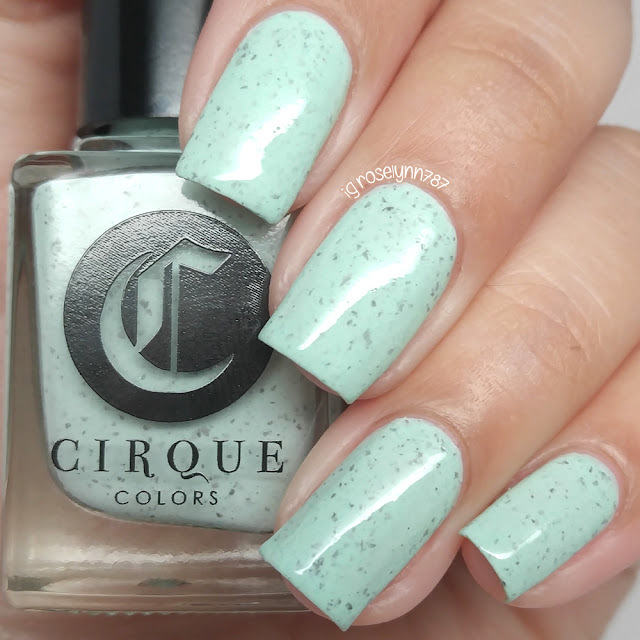 Mint Chip can be described as mint green with chocolate speckles. Even though I adore the shade in combination with the speckles, I did feel this one had the least amount of flakies per brush stroke. In the future I think I'll be layering one more coat in hopes of extra flare. The formula is really opaque though, even for thin coats, and has an easy application. Shown here in two coats and a glossy topcoat. Hatch can be described as a white with black speckles. Definitely the most anticipated from this collection, Hatch is a re-release from last year. If I had to pick a must have besides Acid Wash, then this one would be it. Great opaque formula like the others, with a consistency that is not too thin or too thick. Lots of speckle in the finish so it ends up drying a bit on the gritty side. Again, one layer of a thick glossy topcoat easily smooths the finish down. Shown in two coats and a glossy topcoat. Astra can be described as a light pink granite cream. 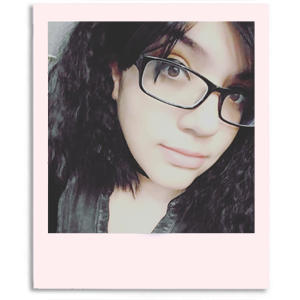 I didn't think I was going to love this one, but the tone of the pink compliments my skin-tone so well. The contrast of the shade and speckles really give this polish a dainty spring feeling. Same consistent formula and application with this one as well. Although it was opaque in two, I did feel like I did with Mint Chip and added a third to show more speckles. Shown in three coats and a glossy topcoat. Overall I am beyond excited and in love with this half of the collection! To me these not only have an air of uniqueness to them, but these are the freaking definition of Spring. 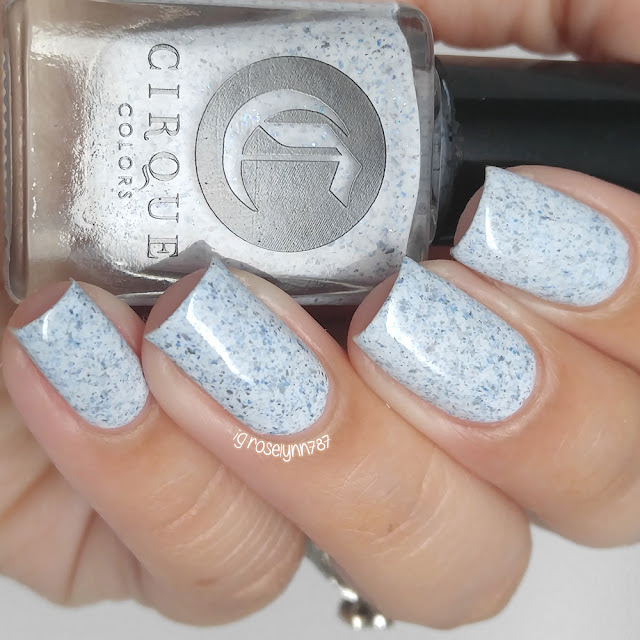 Beautiful finishes are not the only thing Cirque Colors has to offer, the formula is just as marvelous through the set. I tried hard not to go overly ga-ga over these, but it was almost impossible. Consistent, opaque, and smooth - no need to say more. Tomorrow I'll have the remaining polishes from the Speckled & Sparkled Collection and - spoiler alert - they're drop dead gorgeous as well. 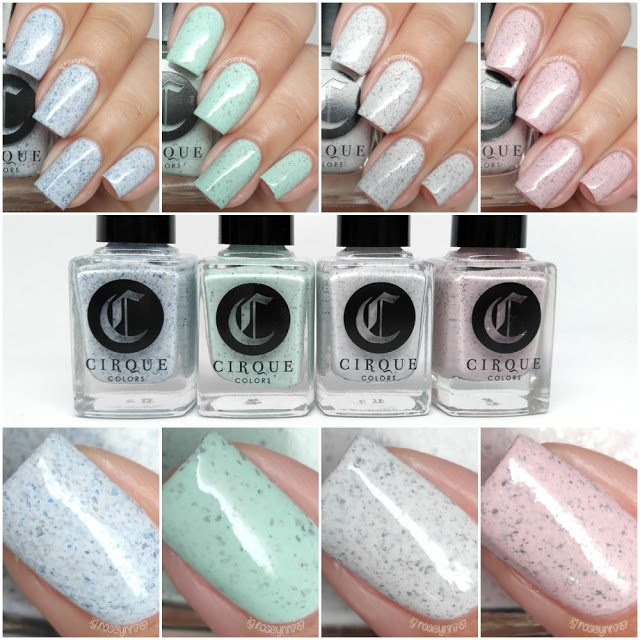 To recap, the entire Speckled & Sparkled Collection by Cirque Colors is limited edition and will be releasing on Friday, March 25th. Each full-size bottle (13.2 mL) retails for $13.00. these remind me of ice cream cake. 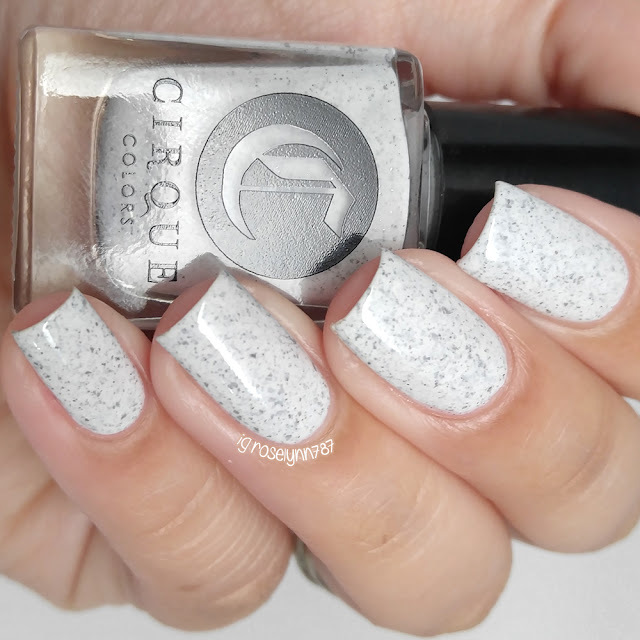 I always love speckled polishes! These look spectacular! Gorgeous swatches! This collection is just perfection! I am all about the finish on these, your swatches are gorgeous!! I adore all of these...gorgeous. I have Hatch but now I need to get the rest! I'm in love with Acid Wash! Acid Wash and Hatched are calling to me! Would love to see swatches of the sparkled part of the collection!